There is a certain combination of characteristics that make up a puzzle, with each autism trait a piece to it. Everybody is missing pieces to this puzzle. This puzzle is autism, and people diagnosed with autism have more pieces than "normal" people. But "normal" people still have some. The word "autistic" is actually a ranking. This is given to the people who have many pieces to the puzzle. "Normal" people have very few pieces. The puzzle is a part of your DNA. It works to characterize you. The number of pieces you have is partly what makes you you. Autism is really publicly known as a disease you get that makes you stupid. It is really what makes up each puzzle piece. Everyone has autism in different amounts. Nobody has all the puzzle pieces -- if they did, they would be a baseline for autism. 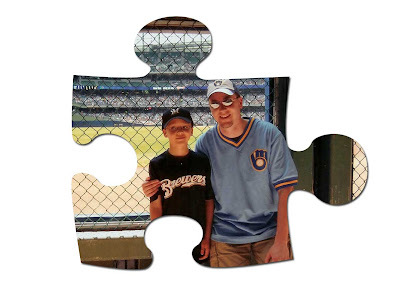 Each puzzle piece is one characteristic of autism. You get to decide if autism is an advantage or a disadvantage. You pick if it's good or bad. Never mock an autistic person -- remember, you are autistic too. Everyone is. Autism is such a large category that it includes many different people, from geniuses to people with trouble speaking, from flight attendants to football players, from me to you.